From salvaged ceiling tiles, wall decor, and stained glass panels, to antique and vintage signs and books, armoires and even decorative desks from the 20th century. You can uncover the perfect items for your home, garden or an unforgettable gift. Whether it is new or a gently used classic, you will find new surprises everyday at designXchange. Our desire is to provide you with the unique and sophisticated accessories for your home, all at a reasonable price. Our merchandise arrives from all over the world—some new trends as well as some old classics. Please let us know what you are looking for, and we will do our best to find it. We love to hunt for new pieces, and we will always welcome your suggestions. Our new items are not found in mass merchandisers’ inventory. Items are always priced at a value to the customer yet rewarding for the consignor. 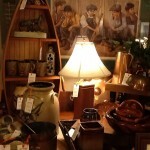 The Hartland designXchange is our traditional high-end furniture and decor consignment store. Come on in and look around! You’ll never know what you might fall in love with! Our Pewaukee designXchange location is our Porch and Pantry location. You’ll love our decor for your kitchen and pantry. And yes, we will have pantry food items. You’re going to love them! 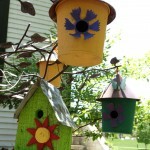 Plus, we have lots of fun outdoor garden decor. Come take a look! We do need to mention that our beautiful high-end consignment clothing store is right beside the Pewaukee location. Look, I can see it through the window! Artwork, lamps, accent tables, stools, vases, dining sets, imported furniture, new decorative linens and pillows, original metal sculpture, custom greenery. 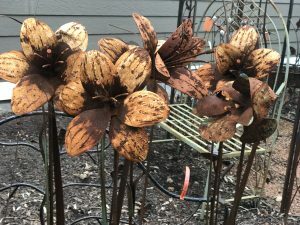 Trellis and arbors, in-season iron and recycled metal animals, iron benches, pots and urns, topiary stands, fountains, sculptures. We appreciate your business, and we encourage you to bring in your unique pieces to our showroom. This could help someone else become inspired to change or redesign their home. We know decor and design! 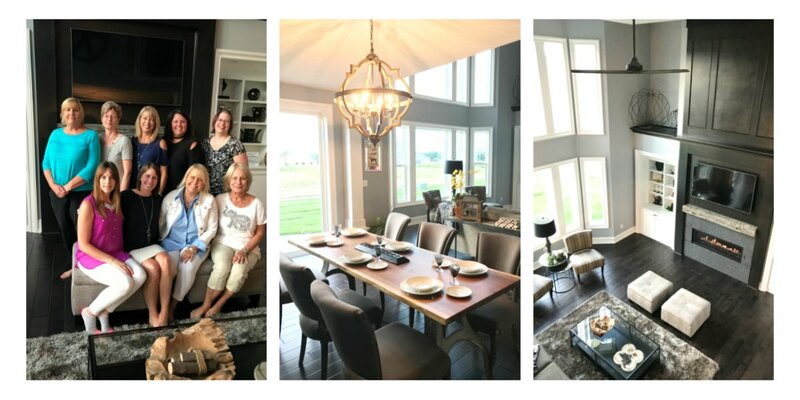 We had a great time decorating at the Milwaukee Parade of Homes. And, yes, we used designXchange inventory to furnish and decorate the home. Below are a few of us, who visited prior to the Parade opening to the public, and a couple of rooms we decorated. If you need some help decorating your home, just ask us! 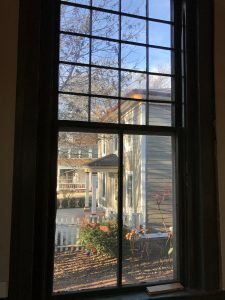 designXchange (Pewaukee) is located in a 150-year-old former Baptist church at the corner of Prospect and Main Street in the Village of Pewaukee. 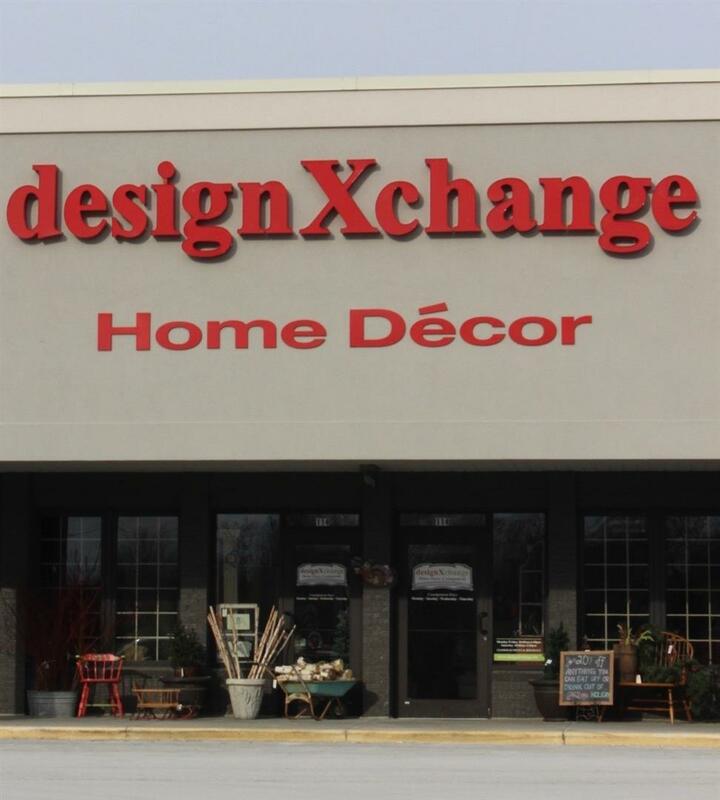 The building was reborn as our home consignment boutique in 2008 when designXchange moved from its previous location at the corner of Capitol Dr. and Hwy 164. The steeple and distinctive church windows are still there, but home furnishings are now displayed from cellar to ceiling.